A Reader’s Account of Criminal Activity Near Thorndale and Broadway Reviewed by Edgeville Buzz on May 5, 2009 . 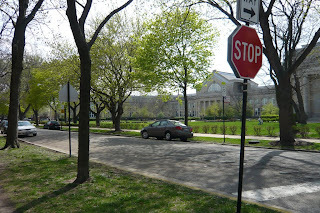 A reader wrote in to report the following incidents, which occurred close to Senn High School. “I identified 2 black males selling drugs near my house on Thursday 4/30/09 at 11AM. I called police to report it. 2 days later I see the same men pass by. They threatened me, saying “We know where you live.” I firmly believe they will be retaliating in the near future. One of the males is about 5’10”-6′, 180-200 lb. The other is about 5’8-5’9″ and maybe 160 lb. This is a disturbing situation. I encourage anyone who witnesses criminal activity like this to report it to the police. I asked our reader if the police were notified after the threat was made, and the reader indicates…. Obviously this situation provides further insight regarding problems in the general area of Thorndale and Broadway.